The Quartz Regalia from Final Fantasy XV will be returning to the Forza franchise in Forza Horizon 4 with the Series 6 Update arriving next week. As revealed on the latest edition of the Forza Monthly broadcast show from Seattle, WA, this unique automobile from the world of Final Fantasy will be available to unlock via a Seasonal Championship in beautiful, historic Britain during Series 6 of Horizon Life. The Quartz Regalia first appeared in the Forza franchise as a free car to all Forza Horizon 3 players in 2017. It’s one of the biggest cars in the game in terms of its sheer length, coming in at 21-feet, and it saw developer Playground Games work closely with Final Fantasy publisher Square Enix on building the car and bringing it to life in a way that is authentic to the vehicle’s lore. 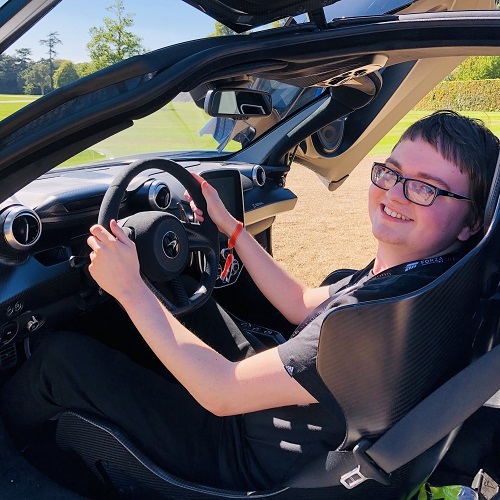 It comes with a V12 engine on the inside and as a change exclusive to Forza Horizon 4, it now has its roof down by default to better match the open-world beauty and daylight of Britain. 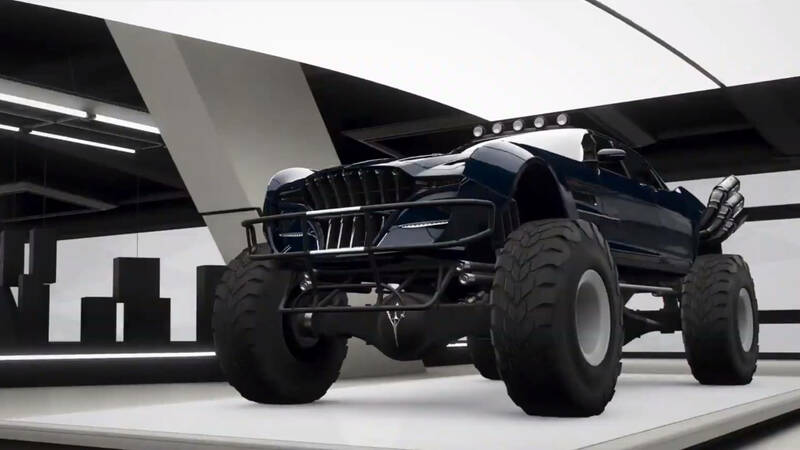 However, there’s also an entirely new variant of the Regalia coming to Forza Horizon 4 – the Type D. This one has been jacked up by a meter on gigantic tires to purely focus on off-road performance and deliver a ride height that’s bigger than any car in Forza Horizon 4’s roster. This 21-foot long Trophy Truck is massive with a huge interior, enormous wheels and large exhaust pipes. To put it all into perspective, the size of one-wheel matches that of the Peel P50. Chris Phillips, Senior Car Handling Designer at Playground Games, revealed on the Forza Monthly livestream that the Regalia Type D can only be unlocked if you already own the base vehicle, which as we’ve already mentioned, will be available exclusively from an upcoming Seasonal Championship in Series 6 – or the Auction House thereafter, if you’re lucky enough to acquire one. By completing specific tasks within the game, the new off-road Regalia Type D will be available to add to your car collection. 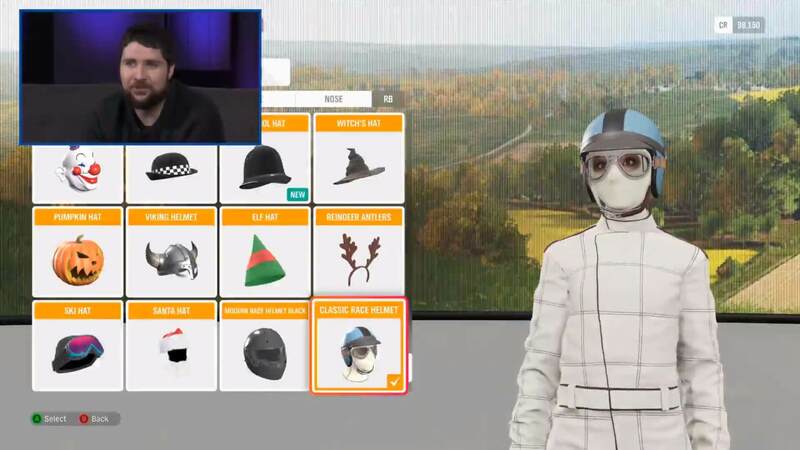 The Series 6 Update for Forza Horizon 4, which will be further detailed on the next in-studio livestream from developer Playground Games next Monday, also introduces new clothing options for character customization. These include a classic race suit and an accompanying helmet, as well as a chauffeur suit and hat alongside another outfit inspired by Ken Block’s Gymkhana 10 race suit. Playground Games will also celebrate TVR’s legacy in Series 6 of Forza Horizon 4 as the developer will introduce two cars from the independent British manufacturer. These include the 2018 TVR Griffith for Car Pass holders and the classic 2001 TVR Tuscan S, which will be available via a Seasonal Championship. Both cars will be available in the first week of Horizon Life Series 6, which begins on Thursday, February 14th. Another Car Pass ride for February is the 1959 Cadillac Eldorado Biarritz Convertible – a lengthy classic American automobile that comes in at 17-feet, though still proves to be quite short by the Regalia’s standards. Meanwhile, a couple of vehicles for Series 6 were also revealed by Playground Games, and these include the 1994 Honda Prelude SI, the 1994 Nissan Fairlady Z Version S Twin Turbo and the 2012 Cadillac Escalade ESV. Finally, the Series 6 Update for Forza Horizon 4 also includes some other noteworthy additions, including new Seasonal Championships that feature Street Races, as well as a new “Skill Streak” Horizon Story, which will be made available at no cost to all players. Expect to see more of this new in-game narrative thread with a general rundown of the Series 6 Update on the next in-studio livestream from Playground Games on Monday, February 11th. Whilst the Series 6 Update is another week away, the team has shipped a small, but critical update to Forza Horizon 4 that increases save limits for content associated to your profile. This change means you can now store more garage cars than before, as well as more liveries, vinyl groups, tuning setups and photos. This update is available today for all players on Xbox One and Windows 10 PC and follows the improvements introduced in the Series 5 Update for Forza Horizon 4, which featured the return of Mitsubishi and a new Horizon Story in Isha’s Taxis. For a look at the Quartz Regalia and its Type D off-road counterpart, be sure to check out the on-demand video of the Forza Monthly broadcast above. It features a walkthrough of both automobiles inspired by the Final Fantasy universe that have been brought to life in Forza Horizon 4, as well as a look at the latest and greatest supercar masterpiece from TVR and all the new clothing options coming to the shared open-world racing game throughout Series 6. 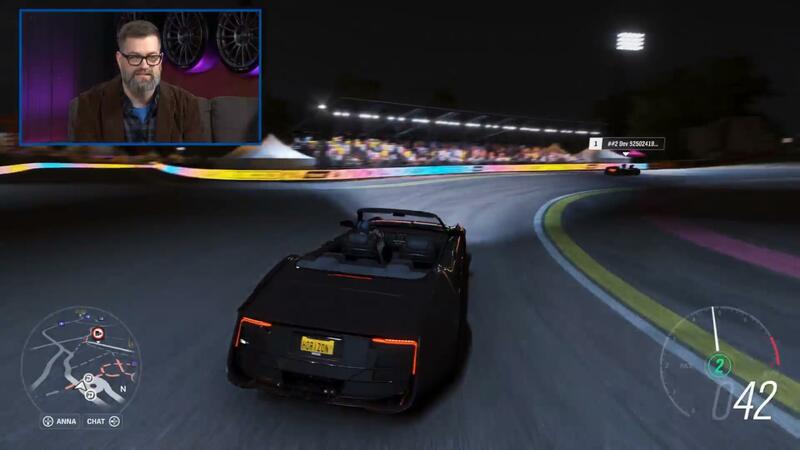 Later in the broadcast, there’s also discussion around the Forza Motorsport 7 February Update and other future additions to the Forza franchise. Alan is the co-founder and co-owner of FullThrottle Media. As someone who enjoys spending all his free time playing video games, he delivers the latest in news stories, reviews, and feature articles to the website, as well as videos on his YouTube channel and livestreams over on Mixer.